Another recipe for a simple facial serum. 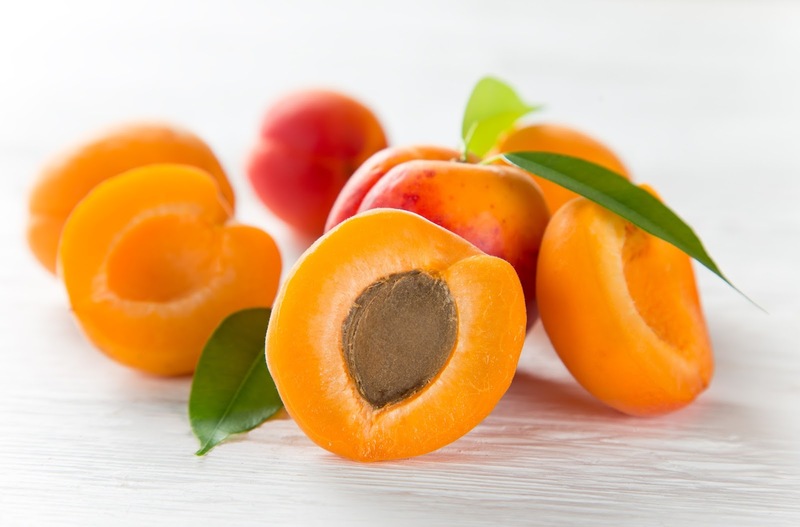 This recipe has peach kernel oil and Sea Buckthorn oil. I like peach kernel oil because it is a mild, moisturizing oil, and is readily absorbed into the skin without leaving it oily. I like to use it for skin that is inflamed and both dry and oily at the same time.....a.k.a "combination skin". 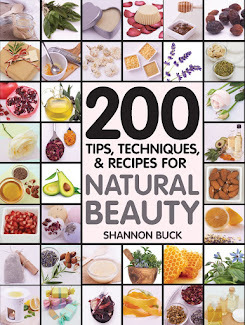 I used Mountain Rose Herbs Sea Buckthorn oil in this recipe. According to Mountain Rose Herbs, Sea Buckthorn Oil is a useful, highly prized oil typically used to treat damaged skin. It can be applied directly to the skin or included within skin care preparations that are designed to relieve occasional symptoms of problematic skin conditions. This oil contains essential fatty acids, carotenes, tocopherols, and phytosterols. 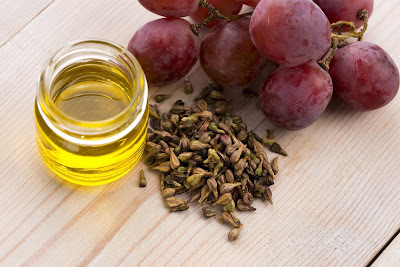 It is a concentrated oil, and they suggest to use sparingly. 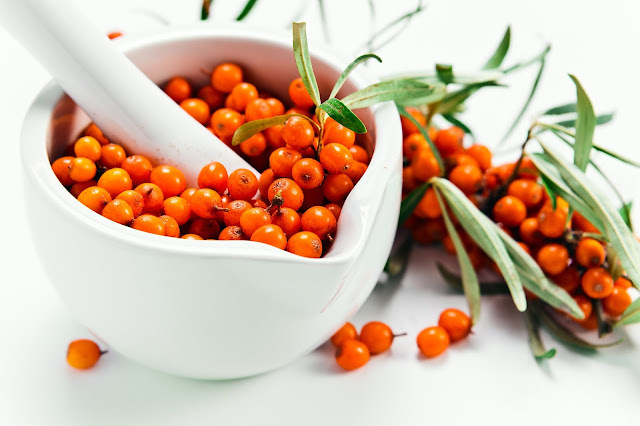 The sea buckthorn oil offered by Mountain Rose Herbs was processed by the cold press method of the entire berry with seeds. 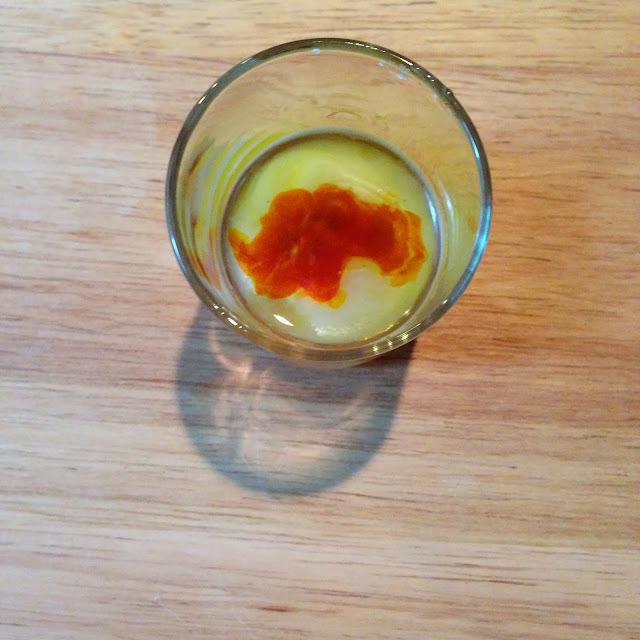 the bright red liquid in the middle is Sea Buckthorn oil. It really should be diluted so you won't stain your skin. Mix all ingredients into a one-ounce amber glass dropper bottle. Shake well. Store in a cool place. To use: Massage a few drops into clean damp skin before you moisturize. Makes a great cuticle oil as well. 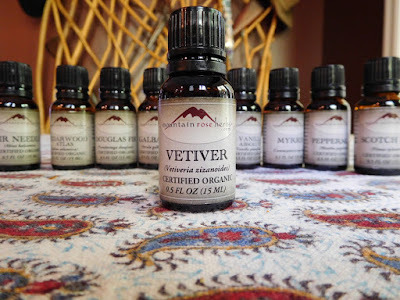 Vetiver: (Vetiveria zizanioides) is from the steam distilled roots of the plant. It is a base note with a sweet, heavy, earthy and woody aroma. Vetiver root has been utilized for its fragrance for many years. It has been used to scent fabric, and woven into baskets, mats, and window coverings. It blends well with bergamot, black pepper, cedar wood, clary sage, geranium, ginger, grapefruit, jasmine, lavender, lemon, lemongrass, Litsea cubeba, mandarin, oakmoss, opopanax, orange, patchouli, rose, sandalwood and Ylang Ylang. I like to add a few drops into a tablespoon of heavy cream and swirl it into a hot bath. It really helps me to relax! You can purchase it at Mountain Rose Herbs. 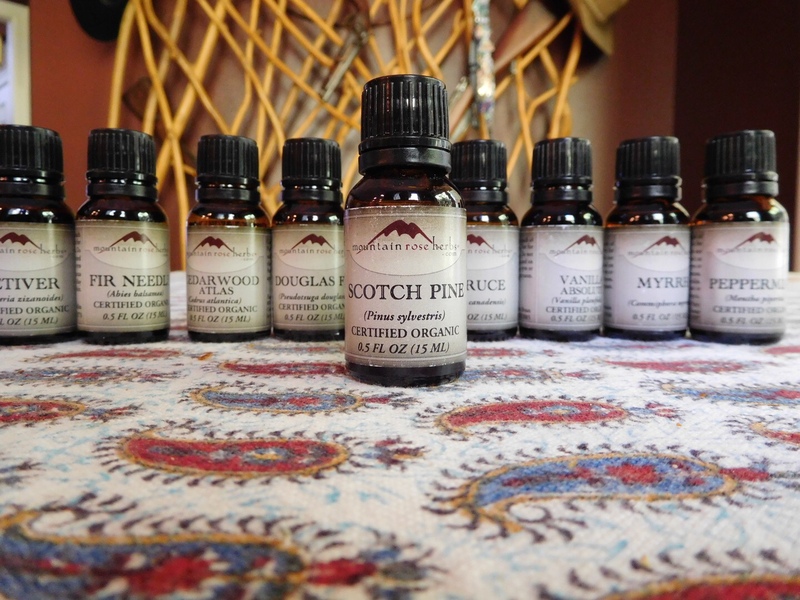 Scotch Pine: (Pinus sylvestris) is from the steam distilled needles. It is a middle note with a very strong, dry-balsamic, turpentine-like aroma. It is used in the fragrance industry for its forest-like aroma. It blends well with bergamot, cedar wood, clary sage, cypress, eucalyptus, frankincense, grapefruit, juniper, lavender, lemon, marjoram, niaouli, peppermint, rosemary, sage, sandalwood, tea tree and thyme. 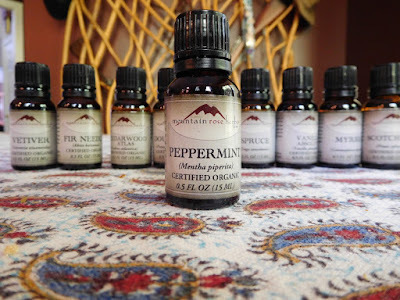 It is a great respiratory decongestant and anti-inflammatory essential oil. You may want to add this into a formula meant for joint inflammation or sinus support. You can purchase it from Mountain Rose Herbs. Peppermint: (Mentha x piperita) is from the steam distilled flowering plant. It is a top note with a very fresh, minty, herbaceous aroma. It blends well with basil, benzoin, black pepper, cypress, eucalyptus, geranium, grapefruit, juniper, lavender, lemon, marjoram, niaouli, pine, ravensara, rosemary and tea tree. I like to use peppermint essential oil in blends that combat fatigue. I also diffuse it when I have a headache or a stuffy nose. It can also soothe a bug bite or energize tired feet. You can purchase it from Mountain Rose Herbs. 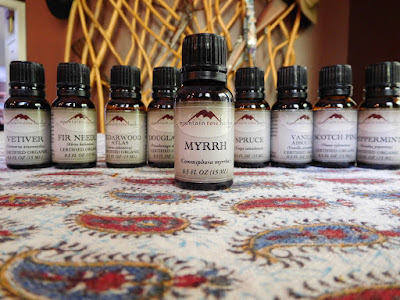 Myrrh: (Commiphora myrrha) is from steam distilled gum. It is a base note with a dry, creamy, resinous aroma. It is used in the fragrance industry as a fixitive. It blends well with bergamot, chamomile, clove, cypress, eucalyptus lemon, frankincense, geranium, grapefruit, jasmine, juniper, lavender, lemon, neroli, palmarosa, patchouli, pine, rose, rosemary, sandalwood, tea tree, vetiver and ylang ylang. I use it in dry-skin formulas, scar healing blends, acne blends, and meditation massage oils. You can purchase it from Mountain Rose Herbs. Spruce: (Tsuga canadensis) is from the steam distilled needles. It is a middle note with a pleasing, fresh-balsamic, sweet-fruity aroma. It is often used in household cleaning products and in muscle ache formulas. It blends well with Amyris, benzoin, cedar wood, clary sage, galbanum, lavender, oakmoss, pine and rosemary. Did you know that the needles and essential oil are added to the brewing process to make spruce beers? I use it in diffuser blends when I have a spastic cough or need potent respiratory support. You can purchase it from Mountain Rose Herbs. Galbanum: (Ferula galbaniflua) is from the steam distilled resin. France and Iran export a lot of the essential oil. It is a top note with a fresh, woody, spicy and balsamic aroma. It has a long history as incense and as a fixative in perfumes. 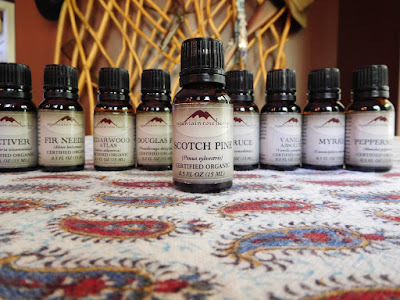 It blends well with benzoin, fir, geranium, ginger, lavender, oakmoss, opopanax and pine. 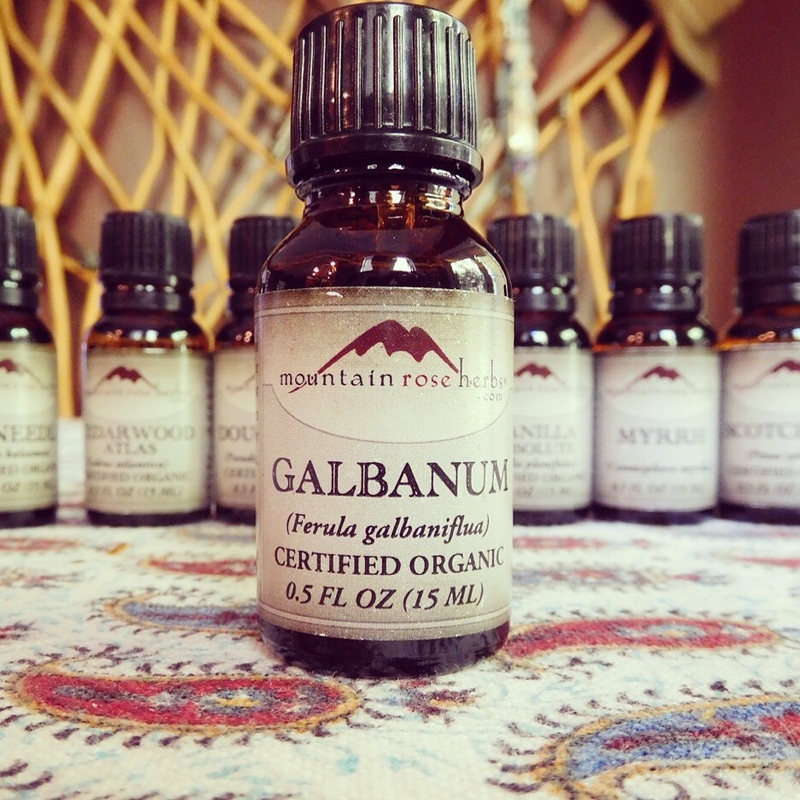 In astrology, galbanum is associated with the Libra (I am a Libra and LOVE this essential oil...coincidence?) 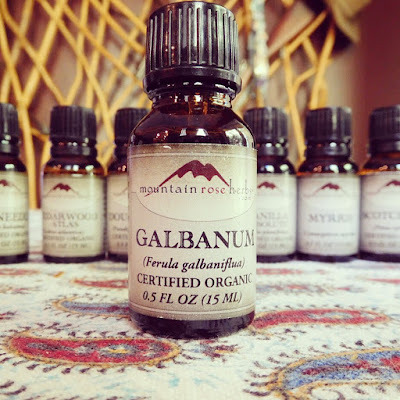 I use galbanum in perfume blends and diffuse it for anxiety relief. You can purchase it from Mountain Rose Herbs. Douglas Fir: (Pseudotsuga menzies) is from the steam-distilled needles and twigs. It is a middle note with a crisp, fresh, green and uplifting aroma. It is used as a room freshener and to fragrance soap. 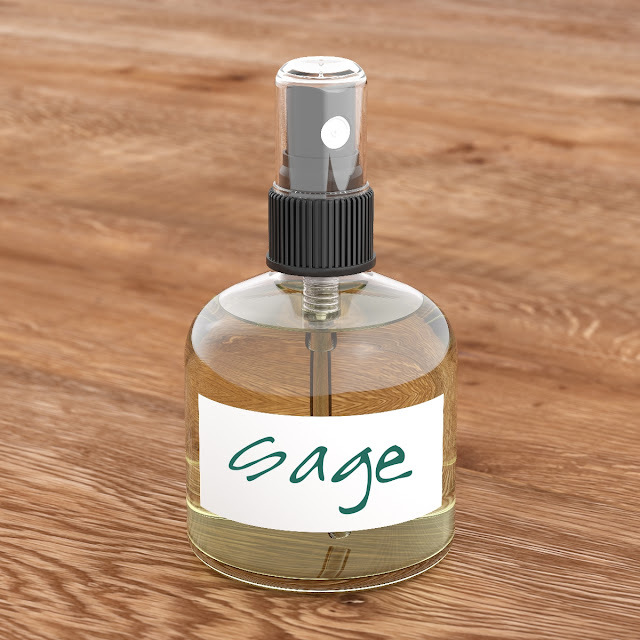 It blends well with Cistus, fir oils, lavender, lemon, marjoram, pine and rosemary. I tend to diffuse it quite frequently during the Winter when my immune system could use a potent boost. You can purchase it from Mountain Rose Herbs. 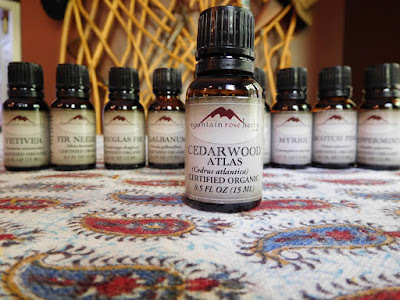 Cedarwood, Atlas: (Cedrus Atlantica) is from the steam distilled wood and sawdust. It is a base note with a woody, balsamic, rich dry aroma. It has a long history as an incense and perfume. It blends well with bergamot, chamomile, clary sage, cypress, eucalyptus, jasmine, juniper, lavender, neroli, palmarosa, petitgrain, rosemary, sandalwood, vetiver and Ylang Ylang. Did you know that the Egyptians used cedar wood in the embalming process and as a perfume ingredient? 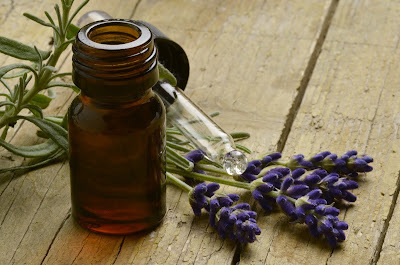 I use the essential oil when I make insect repellent, in perfumes and in deodorants. You can purchase it from Mountain Rose Herbs. 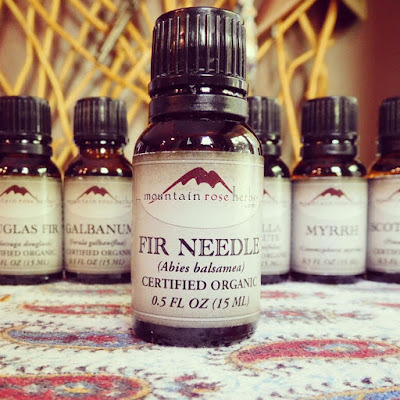 Fir Needle: (Abies balsamea) is from the steam distilled needles. It is a middle note with a fresh, green and soft balsamic aroma. It is well known for its disinfecting properties. It blends well with benzoin, cistus, lavender, lemon, marjoram, orange, pine and rosemary. Did you know that Silver fir was the first species used for the Christmas tree, but that it has since been replaced by the Douglas and Noble firs? I personally use it in Holiday diffuser blends and in cold and flu blends. Some folks like to include it in blends for their arthritis. You can order it from Mountain Rose Herbs. Which ones will you be adding to your essential oil collection? Let me know! 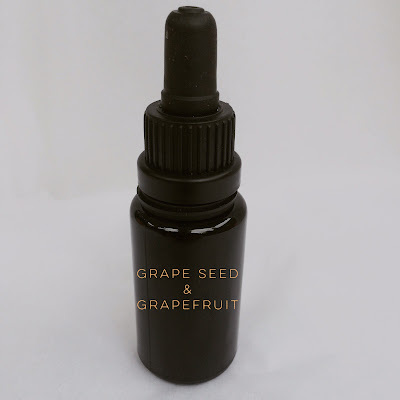 This complexion oil contains Black Currant Seed Oil which is super high in essential fatty acids such as alpha linolenic and stearidonic acid. Paired with nourishing Apricot Kernel Oil from Mountain Rose Herbs, this facial treatment is easily absorbed into the skin and is very moisturizing, soothing, protecting and radiance-boosting. 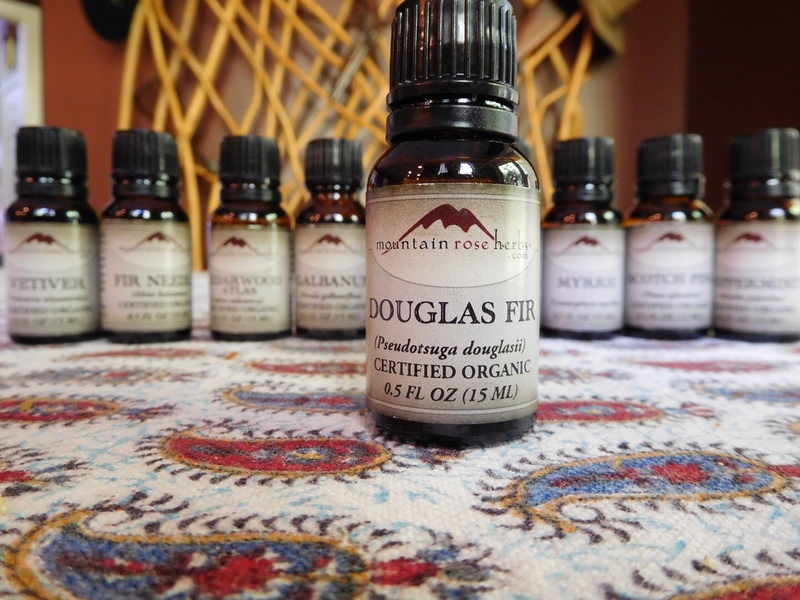 Purchase Apricot Kernel Oil from Mountain Rose Herbs. Click HERE. 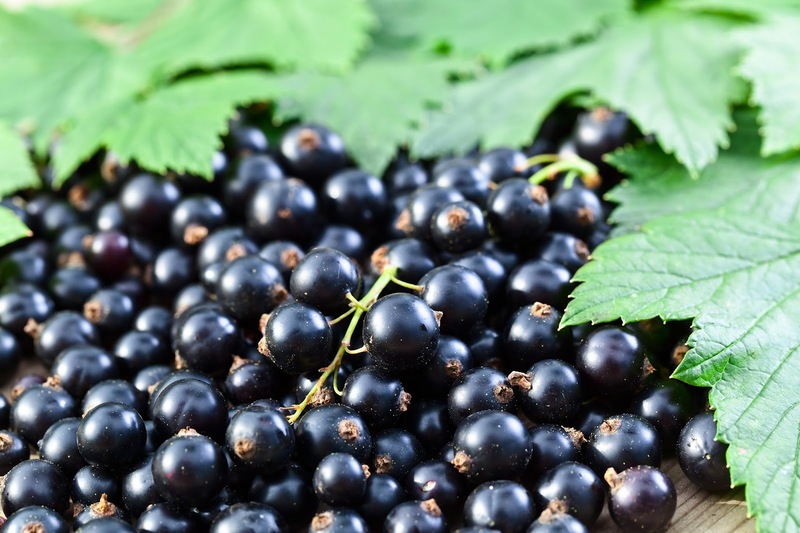 You can purchase Black Current Seed Oil in capsules from few different supplement companies. I use the Now Brand. Each capsule contains 500 mg of Black Current Seed Oil. You can squeeze out enough capsules to fill 2 1/2 teaspoons for this recipe. Blondes can have more fun with my new Tinted Dry Shampoo for Blonde Hair! Between wet shampoo washings of my hair, I use my dry shampoo to help remove oil, boost volume and refresh my blonde locks. Instead of a pure white powder formula, I use India Tree natural yellow liquid decorating food color to give my recipe a pale yellow tint. The food colorant is made from glycerine and turmeric. I created a tinted dry shampoo because I noticed that my regular dry shampoo often left a white powdery look to my hair (especially when my hair was super oily). I just knew there had to be a way to make an all-natural pale yellow powder. I was using the natural food colors to make a frosting for a cake and had that "Ahhhhh!" moment to use the same yellow food colorant in my dry shampoo recipe....brilliant!!! I like the smell of Jasmine Absolute! You can leave yours unscented or you can add a few drops of your favorite essential oil into the powder. I found the vegetable colorants at Whole Foods. You can also order them online from the company that make them at www.indiatree.com. 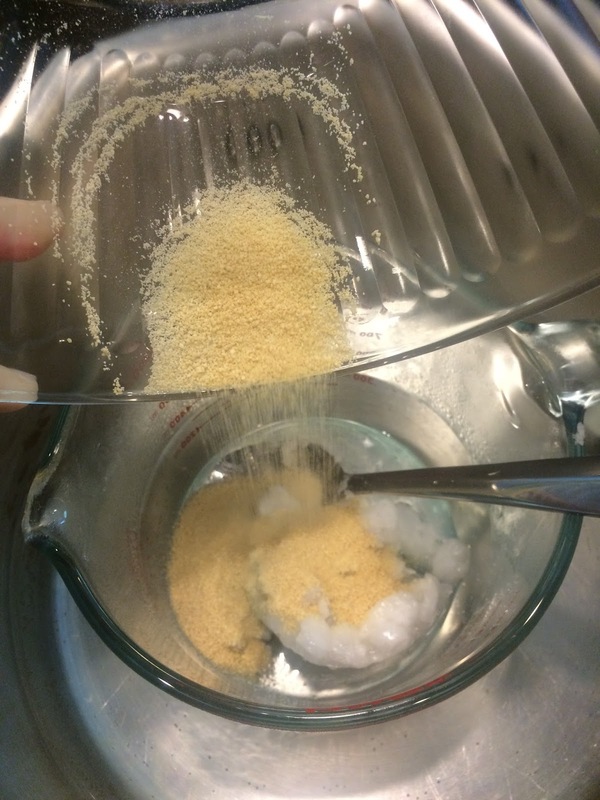 Sift the dry ingredients into a small bowl. Add four drops of food colorant and whisk well (for about three minutes). **If the food colorant does not seem to be mixing in very well, you can add in a few drops of 190 proof Vodka to moisten the food colorant. You need a high proof alcohol so that it evaporates quickly out of the powder. Once you have blended the powder and the food color together, add in the Jasmine Absolute and whisk well to combine. You will have a pale yellow tinted dry shampoo when all the ingredients are mixed together. The photo above shows the difference between pure white corn starch and the pale yellowness of the dry shampoo. Place the dry shampoo into a small shaker bottle. Store away from moisture and heat. To use: Divide your hair into sections and sprinkle a small amount of the dry shampoo along the parts. Massage the powder into your scalp for a few minutes to absorb oils and odors. Gently brush your hair thoroughly to evenly distribute the powder from root to tip. Your hair will have gorgeous volume and will smell amazing. You can use this daily if you like. Another simple but highly effective do-it-yourself facial serum made with highly nourishing botanicals. Organic Jojoba and Lavender Facial Serum is wonderful for blackhead prone skin types. It takes just a few drops of this luxurious facial serum to soothe and protect your beautiful skin. I like buying my ingredients from Mountain Rose Herbs. You can find them HERE. 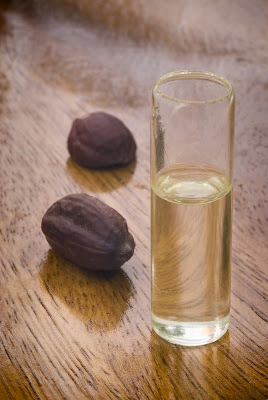 "Jojoba oil comes from the beans of a shrub like plant, and it is actually a liquid plant wax. It is bright and golden in color, has a mild odor, and is favored in the carrier oil family because of its advanced molecular stability. It also makes a great scalp cleanser for the hair, and is equally wonderful for the skin because it has absorption properties that are similar to our skins own sebum. Jojoba oil may become cloudy and solidify as the temperature drops. This is a normal process that occurs from the hardening of the fats and waxes, and it will become stable at or around room temperature. Because Jojoba is not an oil but rather a wax, its shelf life and stability is considerably higher then most oils and rancidity is very rarely a concern." 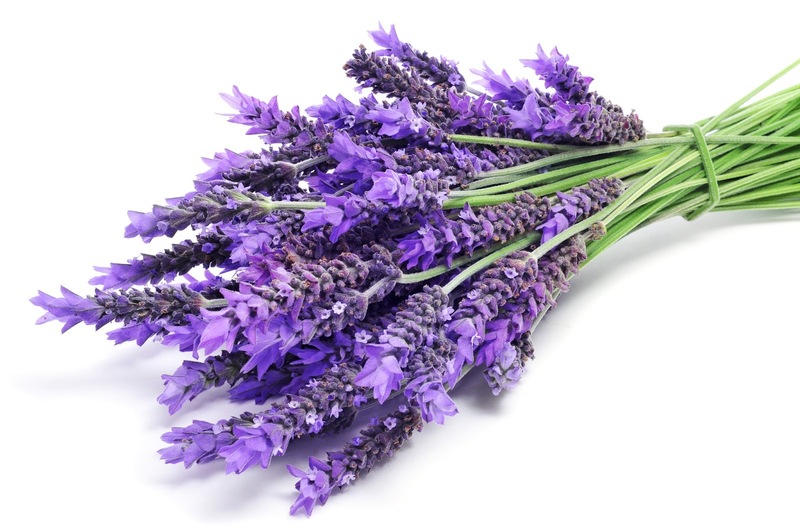 "Lavender oil is known for its skin healing properties and is an excellent essential oil for all skin types. 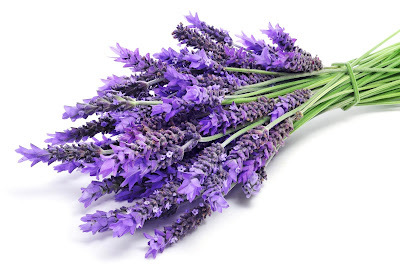 Lavender essential oil imparts a very aromatic spirit to the serum that is relaxing and calming to the soul." Directions: Mix all the ingredients into a small 15 ml pump or dropper bottle. I like to use Miron Violet Glass bottles for my facial serums. Store away from light and heat. This product will last 6 months. To use, apply a few drops to clean damp skin and massage in (avoid eye area). You can also add a few drops to your favorite moisturizer if you like. 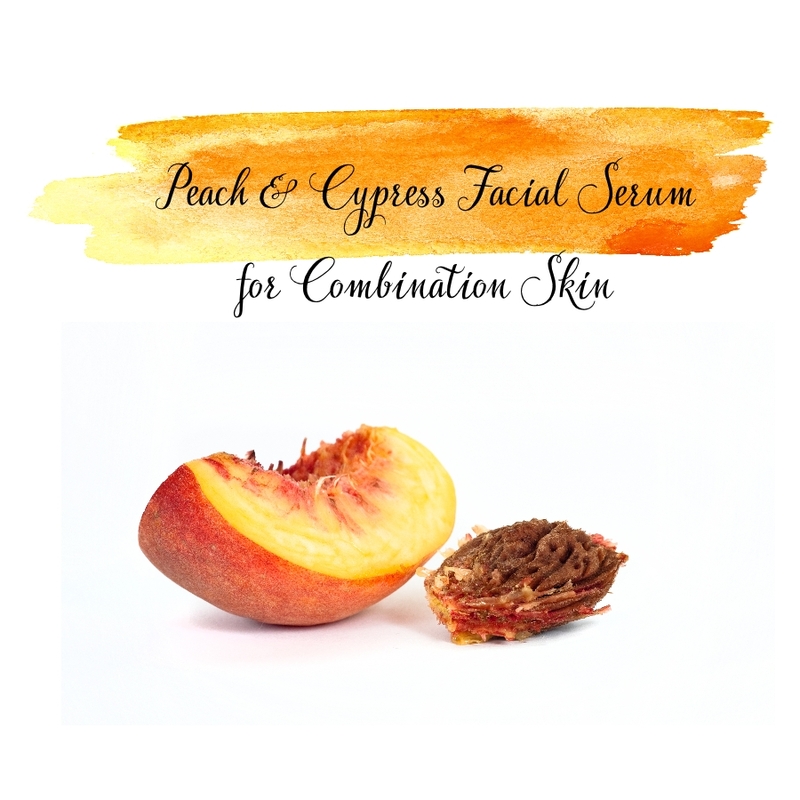 I have been inspired to create some facial serums based on some popular (and expensive!) ones sold at luxury department stores. 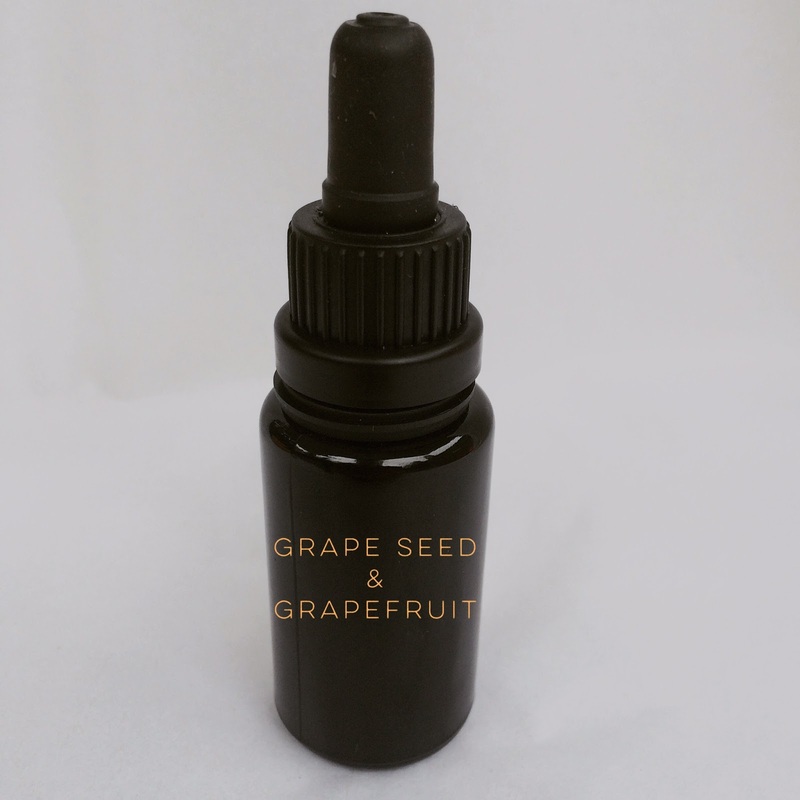 There is a particular line that just launched which offers some really great facial serum concentrates that are formulated with nourishing carrier oils and potent essential oils. When I see something I like that is expensive and works, I get busy making my own version. I have over ten facial recipes I am working on and look forward to sharing my recipes with you. Buy Mountain Rose Herbs Certified Organic Grapeseed Oil HERE. 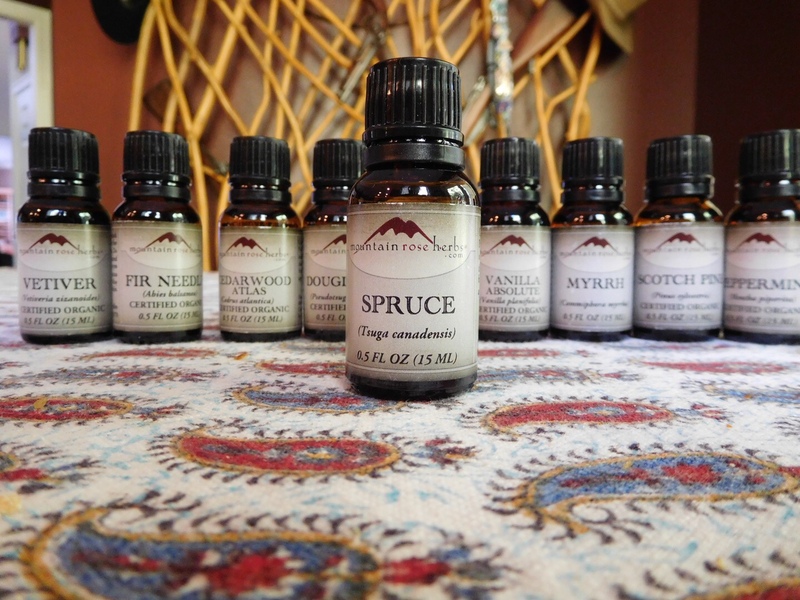 "Generally employed as a base oil for many creams, lotions, and as a general carrier oil. Grapeseed is especially useful for skin types that do not absorb oils well, and it does not leave a greasy feeling. Wonderful for those with skin sensitivities because of its natural non-allergenic properties." 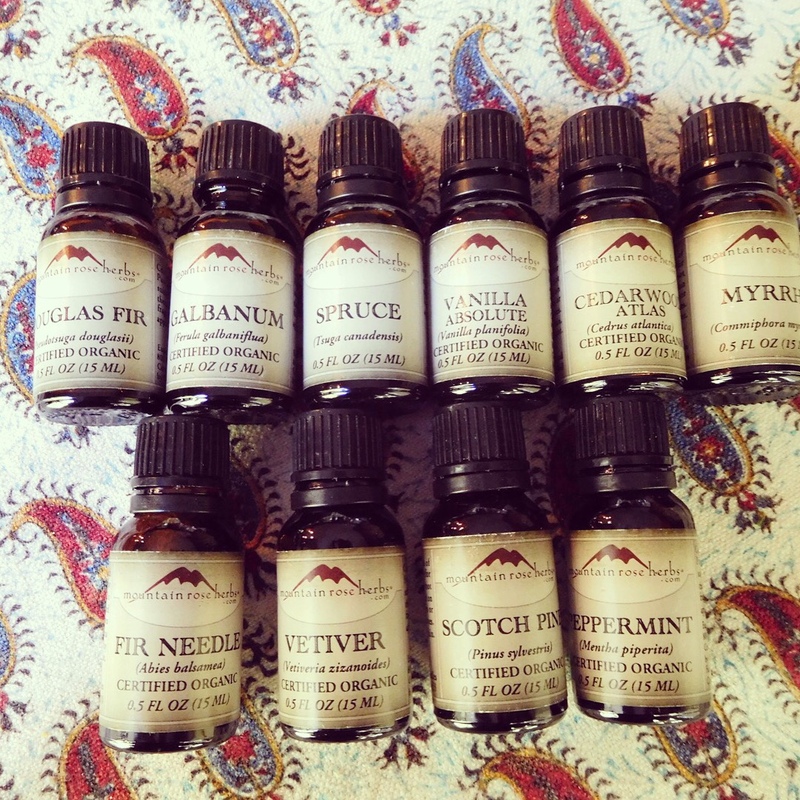 "This particular essential oil is wonderful for oily, blemish-prone and congested skin types. 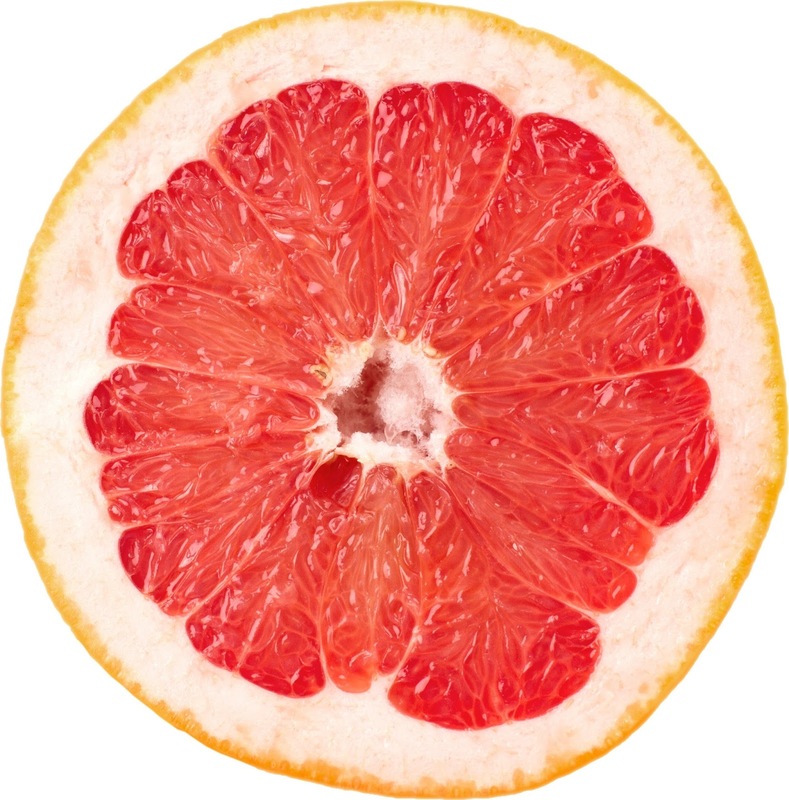 Always wear sunscreen when using a citrus oil such as grapefruit." "Vitamin E that is derived from Soybean oil gives a composition rich in delta and gamma tocopherols, which is a natural choice for antioxidant function. Mountain Rose Herbs Vitamin E oil contains 18-20% mixed tocopherols and measures close to 7500 I.U. per ounce." Mix all the ingredients into a small 15 ml pump or dropper bottle. I like to use Miron Violet Glass bottles for my facial serums. Store away from light and heat. This product will last 6 months. To use, apply a few drops to clean damp skin and massage in (avoid eye area). You can also add a few drops to your favorite moisturizer if you like. Most of the recipes on Fresh-Picked Beauty are meant for the outside of the body, but today I want to share a recipe I created to make you beautiful from the inside. Lately I have incorporated more and more "super foods" into my recipes and diet. This recipe is for my Coconut Oil & Raw Cacao Beauty Bites. I indulge in one per day as a dessert! You are going to LOVE this recipe! Add the honey powder into the coconut oil and mix well to combine in a large heatproof glass measuring cup placed in a pan with a few inches of simmering water. Stir until the coconut oil is melted. 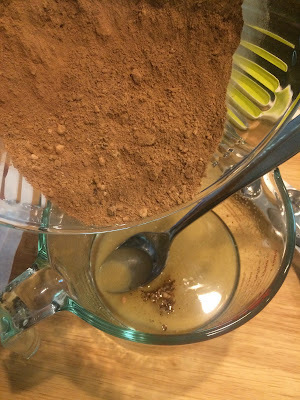 Stir in the cocao powder and mix well. In a small bowl, combine the Acai powder, pomegranate powder, vanilla powder, goji powder, Maca powder and coconut milk powder. Stir into the melted coconut oil/cocao powder mixture. 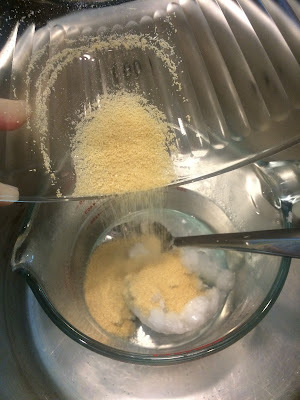 Add in the shredded coconut and mix well to combine. Pour the mixture into a small silicone baking mold and cool in a refrigerator until firm. Once they have firmed up, remove them from the baking mold and store in an air-tight container and use within 30 days.